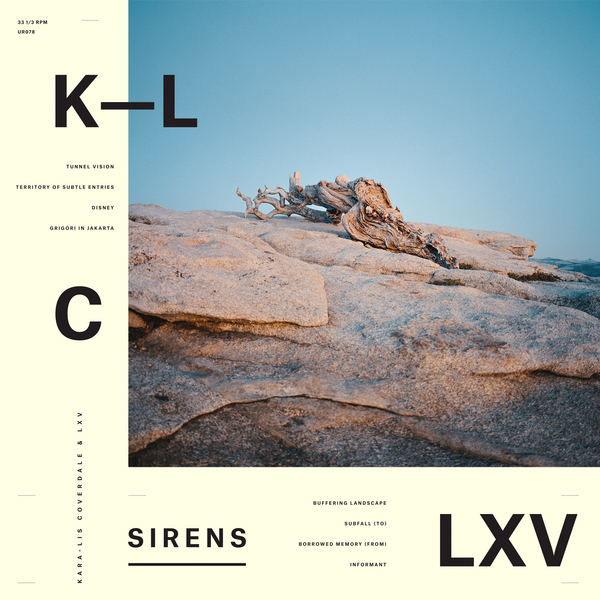 'Sirens' is an utterly captivating side of alien ambient composition by Kara-Lis Coverdale and LXV (a.k.a. David Sutton) for Mexico City's quietly ace Umor Rex label. 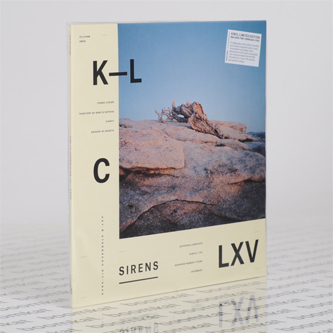 Committed over 14 months between 2013 and early 2015 at studios in Jersey City, Philadelphia and Montréal, it blooms eight strange and often incredible flowers shaping the voice and various electronic inputs into vaulted, complex harmolodics and rhythmelodic cadence with an effortless, sweeping quality that's really got our tongue right now. It's much more gentle than, say, TCF, yet shares much in common with his gyroscopic dynamics, whilst also resonating with the cinematic qualities of 0PN, and the psychedelic DMT-vision of Golden Retriever's modular dimensions, yet with an elusive spectral tingle that's more sensitive than either of those analogues. Each piece is crafted so nimbly as to vacillate violence and serenity with a flick of the tail, keening from romantic grandeur to seductive introspection with uncanny insight and sleight of hand. It makes most modern ambient and modern classical stuff sound static and prosaic compared with its oneiric logic and innovation, with particularly strong attention paid to its lucent timbral colouration, leading us to think this may be what heaven sounds like. RIYL TCF, Lifted, Bee Mask, Anna Caragnano & Donato Dozzy.